The Board of Investment of Sri Lanka has signed agreements for four new projects recently. The companies representatives signed the agreements with the BOI. Representing the BOI was Champika Malalgoda, Director General of the Board of Investment of Sri Lanka. One of the agreement signed was with Arihara Lanka Dream Company (Private) Limited to set up, construct and operate a 36 roomed hotel which will be located in Dambulla. When completed it will create 80 employment opportunities and the total value of the investment US$ 3.85 million. This project is a Japanese investment and the Chairman and Managing Director of Arihara Lanka Dream Company (Private) Limited., Hiroshi Arihara said, “We initially were interested in building a hotel in the Maldives but this was difficult, so instead we decided to visit Sri Lanka because of the beauty of the country and we chose a location at Dambulla to build our hotel there. The main attraction of this hotel is proximity to water, since it is close to the lake. We also have an excellent view on the Sigiriya rock fortress. Arihara added, “We are essentially targeting guests from the European Union countries but also from Japan as well as other nationalities. I also wish to add that in Japan, Sri Lankan Auyrveda is very popular and is yet another attraction for tourism to the Island”. 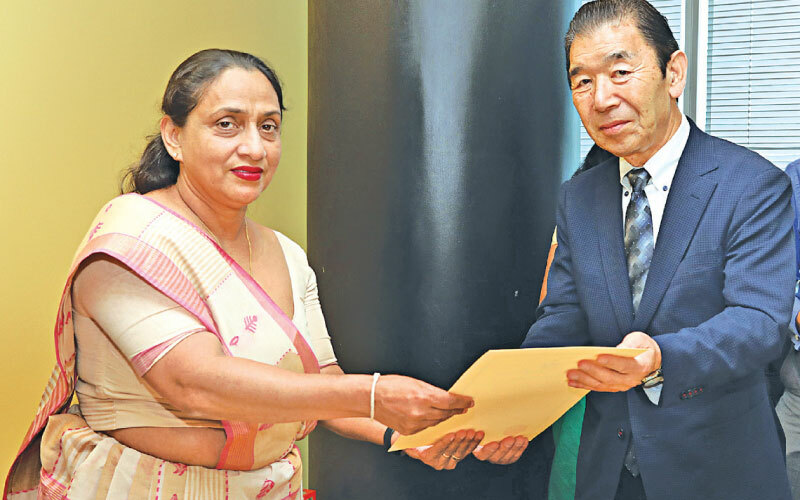 Arihara stated that this project which will be a 4 star hotel will focus on providing the guests with a very relaxed environment and excellent service.In addition to the hotel project, an agreement was signed with Pick Pack Park (Pvt) Ltd project to set up a warehousing and logistics facility which will be located at Weligampitiya, Ja-Ela. This will create employment for 10 staff and represents an investment of US$ 0.5 million. Another project is Fantasia Narrow Fabrics (Private) Limited., that will be engaged in the manufacture of different types of fabrics for direct and indirect export. This project will be located at Milleniya. When completed it will create 501 new employment opportunities. The value of the project is US$ 2 million. Another company that signed an agreement with the BOI is Intfarm (Private) Limited that will be engaged in the cultivation of salad leaves and herbs such as Dill, Rosemary, Basil, Thyme and Sage. This cultivation will utilize hydroponic technology and the production will be exported. The project will employ 52 staff and the value of the investment is US$ 1.19 million.